Rights to Receive Workers’ Comp and Unemployment Benefits | Johnson & Gilbert, P. A. If you're like many people who must file a workers’ compensation claim following a workplace injury, you may wonder if you can also file an unemployment compensation claim in Florida. This is understandable, since you're only entitled to about two-thirds of your wages under workers’ compensation and receiving additional sums while you're off work recovering can help. As with many issues in these claims, it depends on your individual circumstances. Unemployment. The first obvious requirement for receiving unemployment compensation is that you no longer have a job. This can be due to your employer terminating you, or not having a position that meets your job restrictions due to injuries. If you were fired, the reason behind it could impact on your eligibility for unemployment compensation. Temporary Total Disability (TT). If you receive Temporary Total Disability workers’ comp benefits, this means a doctor determined you cannot perform any job because you're too severely injured. When you're completely unable to work, this eliminates the possibility of receiving unemployment compensation. Having these benefits while also getting TT payments may be considered fraudulent. Temporary Partial Disability (TP). The rules on receiving temporary partial disability payments and unemployment compensation are different. 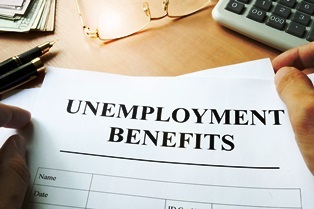 If you receive TP benefits because you receive lower wages while on job restrictions, you may still receive unemployment compensation. However, workers’ compensation will take a dollar-for-dollar offset for unemployment benefits received. For example, if your TP rate is $300 per week and you receive $200 per week in unemployment, you would only be entitled to $100 from TP workers' compensation. Do you have concerns about your rights to workers’ compensation benefits in Florida? You can find the answers to many common questions by ordering a copy of our free book, It’s Not Rocket Science, It’s Workers' Comp. In addition, take advantage of our offer for a free initial consultation to learn more about the benefits you could be entitled to and how our experienced workers’ compensation attorneys can help. Simply fill out our online form or call our office today to schedule your appointment.